We were delighted to welcome the Mayor of Sefton, Councillor Maureen Fearn, and her consort, Mr Frank Winrow, for a visit on Wednesday October 16th. 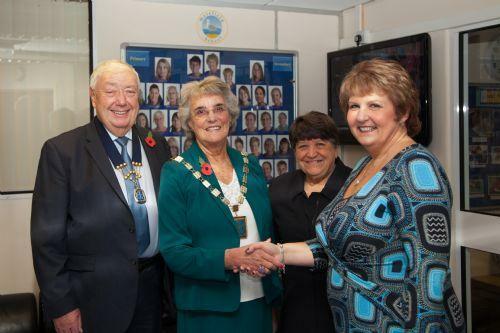 The Mayor was greeted by Headteacher, Mrs Sue Clare, and the Chair of the Governing Body, Mrs Brenda Porter. 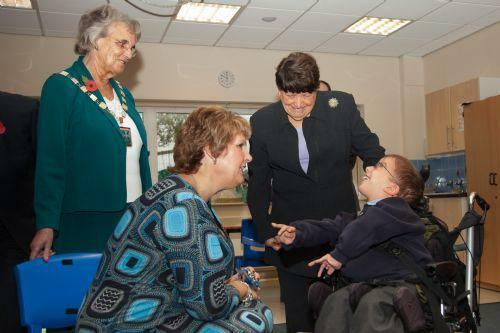 The Mayor and her consort toured the school visiting classrooms and meeting many staff and pupils.